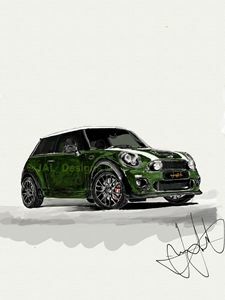 This piece is a drawing of a Mini Cooper, it is green in colour wit an almost camouflage effect from the way that i have drawn it with the stroke marks leaving a nice effect. The drawing was completely drawn on my iPad and took m around about 30+ hours and over 30,000 strokes. 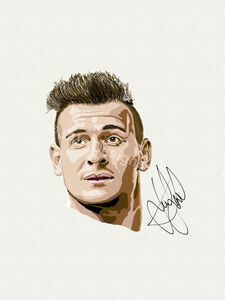 The print will be on A4 High quality paper if you wish to have the image produced to a different size, don't hesitate to get in touch.